If you want to find more restaurants and bars in Paris, we’ve included a lot of the best ones in our 2019 INSIDR Paris Night Guide! With French culinary standards quite high and your next trip to Paris approaching, this article will point you in all different directions to ensure that your upcoming Parisian holiday is full of French gourmet foods. 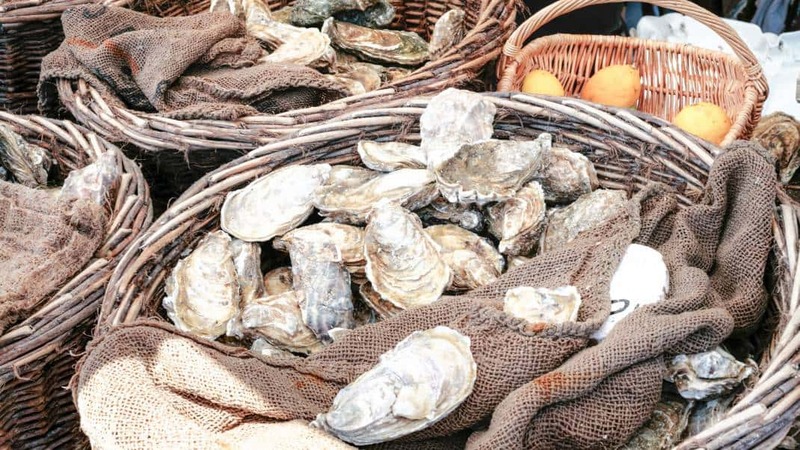 Our expert team has compiled the best places to go in Paris for oysters, wine and macarons (to mention just a few) and they’re all right here. Oysters and truffles, two beloved rare delicacies, can be enjoyed in many fine restaurants around Paris. Depending on your budget, certain restaurants may be a bit out of your price range but our guides to where to find the best oysters and truffles in Paris allow travelers with all budgets enjoy these delicious delicacies. Where to eat the best oysters in Paris? Where are the best places to eat truffle in Paris? Where to buy cheese in Paris? For those of you with a sweet tooth, we have also compiled guides to the best places to eat chocolate and macarons in Paris. Whether you want to sample some on the spot or take home an amazing gift for a loved one, click on the articles below for INSIDR recommended chocolate and macaron shops. If the oysters and truffles at dinners, cheese and wine after dinner and chocolate and macaron snacks during your days do not fully satisfy your French culinary desires, sample out-of-this-world French pastries in Paris according to our guides below. Where to try the most delicious French pastries in Paris? Paris top foodie guide: what is open on Sunday in Paris?